In contemporary media, the heretic is portrayed as the bold nonconformist, the visionary who dares to think new thoughts. But Paul sees the opposite. Heretics want to blend in. They preach an inoffensive Jesus “in order that they may not be persecuted” (Gal 6:12). To avoid persecution, heresy accommodates the gospel to the culture. We’ve seen this. The offensive truth of Christianity — that by his crucifixion Jesus became everyone’s Lord and will encounter each human being at the end of history as either Savior or Judge — is diluted to render the gospel innocuous. But when the Church fears the world and is tempted to preach a spineless Christ, the antithesis to the heretic appears: the martyr. 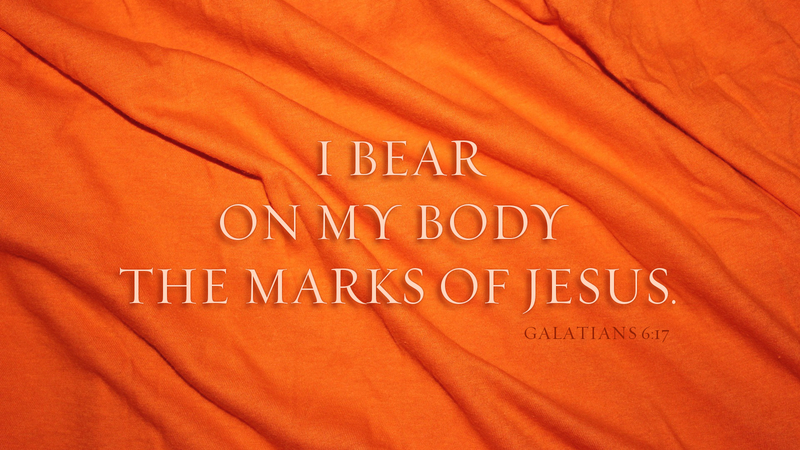 “I bear on my body the marks of Jesus” (Gal 6:17). Kneeling in orange jumpsuits, twenty-one Coptic Christians whisper the name of Jesus as they are beheaded on the Mediterranean shore; during eighteen months of torture, Kayla Mueller defiantly defends her faith to “Jihadi John” and is silenced only by death; Sister Dorothy Stang reads the Bible to her assassins and says, “God bless you, my sons,” before she dies. The Lord whose all-embracing claim must give offense — is the one worth dying for. Prayer: Father in heaven, give your Church the courage of Jesus, that hearts may be opened, and the world may be silenced, by words of truth. Amen.